North America Forum»Forum ›League of Angels-Fi... ›General Discussion › And when will the connection issue get fixed? And when will the connection issue get fixed? Seriously. This has been reported so many times and the issue was ignored. I feel like gta thinks this issue doesn\'t even exist. The connection issue is worse than Wharf now (since it constantly disconnects everywhere). Arena is the worse and it is pretty much Wharf before they fixed it. Why is it being ignored? Don\'t ask me to change my network, forced close the app, reinstall the app, etc. Those don\'t fix it. 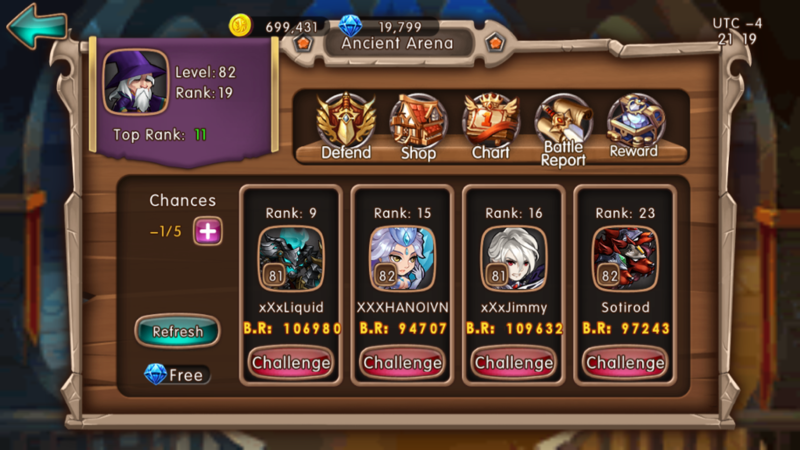 The connection issue got so bad I got -1/5 attempts in Ancient Arena. Knowing that is an ongoing issue for a long time now, then you would assume it would be fixed/improved by now or something at least. Hmm. It would be better to fix/improve this rather then giving us a compensation every time we experience this issue (since this is an ongoing issue). Hi, your above statement is true and yes we all experience the same thing, We\'ve already reported the connection issue and the devs will fix it asap. 2019-4-21 12:57 GMT+8 , Processed in 0.055144 second(s), 44 queries .